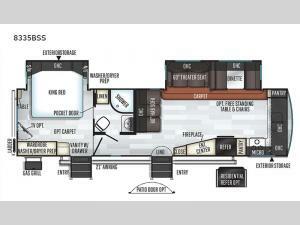 From the two entry doors, to the two slide outs, you will enjoy all of the conveniences throughout this travel trailer! The front kitchen features a three burner cooktop, two pantries, plus you have to option to upgrade to a residential refrigerator if you choose. After a day of exploring, your family will have plenty of seating options between the hide-a-bed sofa, theater seats, and the dinette where you can enjoy a meal at. The rear bedroom includes a king bed, a large wardrobe, and a space that has been prepped for an optional washer and dryer. The dual entry bath is super convenient with a door leading to the bedroom and a door to the hallway for guest. 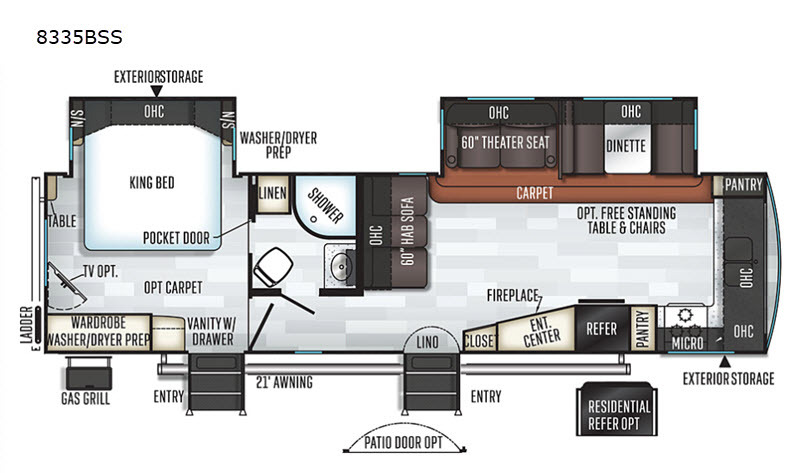 Choose this travel trailer and get started on your family vacation today!